The Civil Justice Council has asked Judge Siobhan McGrath to take another look at the best ways for resolving housing disputes. This will follow up work done some years ago by the Law Commission. The Commission argued that a wider range of issues could go to what was then known as the Residential Tenancies Property Tribunal. Since then there have been at least two relevant and significant developments. First, disputes relating to disputed tenancy deposits are mostly determined by alternative dispute resolution procedures created by the introduction of Tenancy deposit Protection. Secondly, in Scotland there are proposals for establishing a specialist housing tribunal. (There is also a specialist Residential Tenancy Board in Ireland). The outcome of the review is expected early in 2016. One of the most innovative recommendations from Sir Rupert Jackson’s proposals for the reform of costs of civil litigation was that a new regime of ‘damages based agreements’ (DBAs) should be introduced. Known as Contingency Fees Agreements in other jurisdictions, they – in theory – enable a law firm to take on a case, on the basis that if the case is won, the firm can take a percentage of the damages awarded to cover the costs and fees of bringing the action. The intention was that DBAs would be an alternative to Conditional Fee Arrangements – which have been around for some years now. Although introduced in 2013, they have not taken off as had been hoped. DBAs were subject to special regulations – the Damages-Based Agreements Regulations 2013, SI 2013/609. These regulations have had a chilling effect which has deterred litigators from using them as Jackson had intended. The Ministry of Justice has drafted proposals for amending the regulations. It was also agreed that the Civil Justice Council should take a specialist look both at the draft revised regs and wider policy issues. Its report on both these matters was published at the beginning of September 2015. It seems likely that a version of the revised draft regulations will be brought into effect later in 2015, which should clear up some of the issues which have worried litigators. But the wider policy issues seem unlikely to be addressed in the short term. The likely impact on civil litigation practice is thus currently very hard to determine. 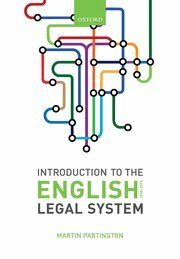 Frances Gibb, Legal Correspondent for The Times, has – with Jonathan Ames – just launched a new daily service giving info on developments in the legal system and legal profession. Interesting piece today by Lord Neuberger on televising court proceedings. Rise in numbers of private prosecutions? The principal prosecution authority in the English Legal System is the Crown Prosecution Service. Private prosecutions, brought by individuals, have been rare. But two recent news items, reported in the Times Newspaper suggest that we may be witnessing an increase in private prosecutions. On 2 September 2015 it was reported that some of the families caught up in the terrible refuse lorry accident in Glasgow last year were contemplating bringing criminal proceedings against the driver. On 3 September 2015, there was an interesting feature also suggesting that private prosecutions might be on the interest, in particular where allegations of serious corporate fraud were involved. The key issue made in the article was that the reason why private prosecutions might be on the increase might be reductions in funding for the CPS which meant that they did not have the resources to take on serious cases. It is hard to judge from a single newspaper article whether this really is a trend; and it is certainly not possible to say whether the suggested reason – public expenditure cuts – is the principal reason why this is happening. However, the two items – taken together – perhaps lay down a marker that this is an issue which needs to be kept under review. Although I have argued elsewhere that not all cuts to public expenditure are necessarily harmful, if those cuts are preventing the CPS from doing its job of bringing to court cases that fall within its code of practice, this would seem to extremely worrying and an issue on which there should be proper research.